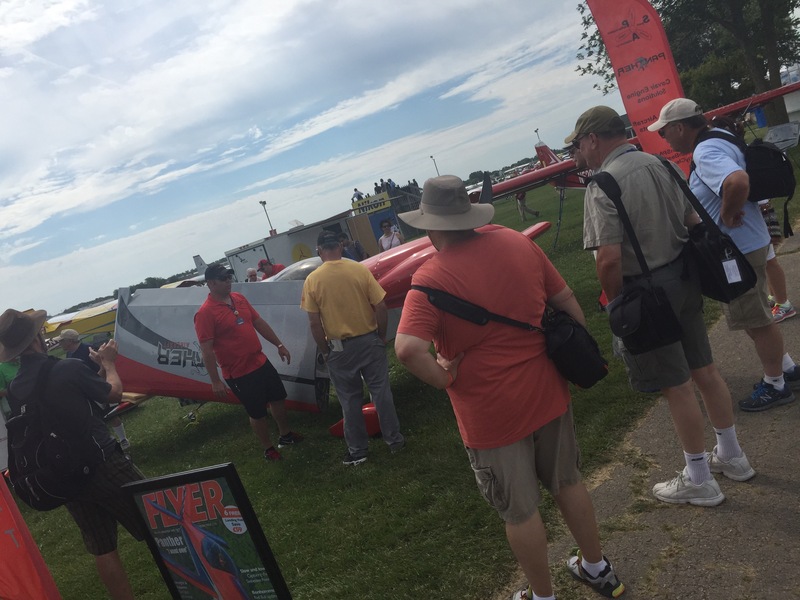 Airventure opening day was busy in the SPA LLC booth – N615. Here are a few photos from throughout the day. 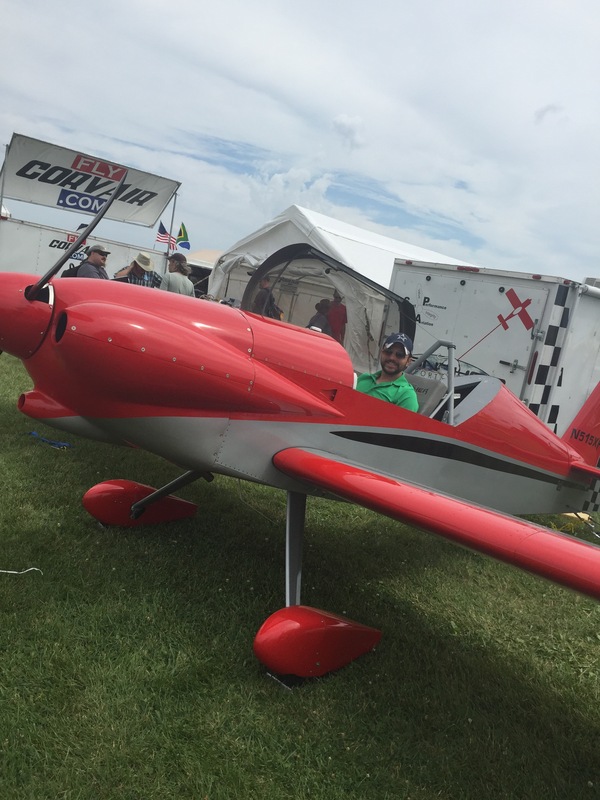 Dan does a wing fold demo at 10 am and 2 pm everyday. 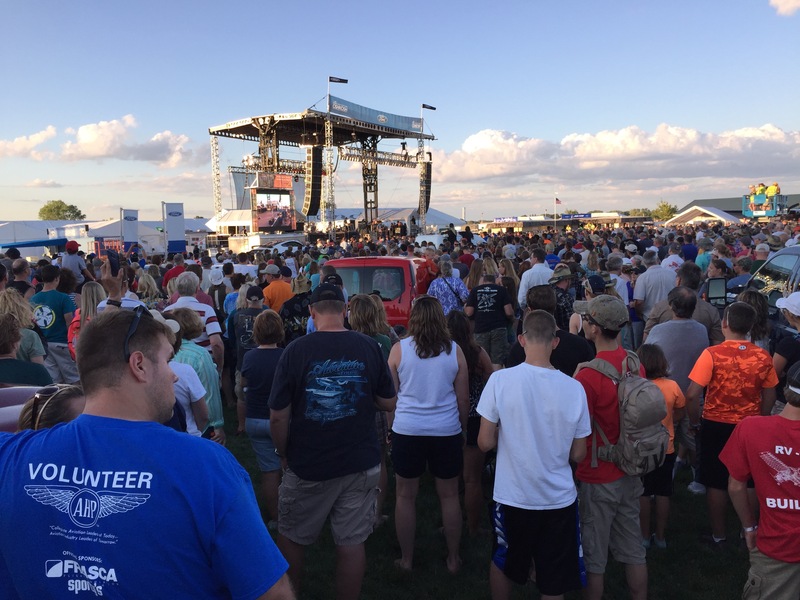 It always draws a crowd and gets the word out that the wings do fold – you can’t tell just by looking at the airplane. 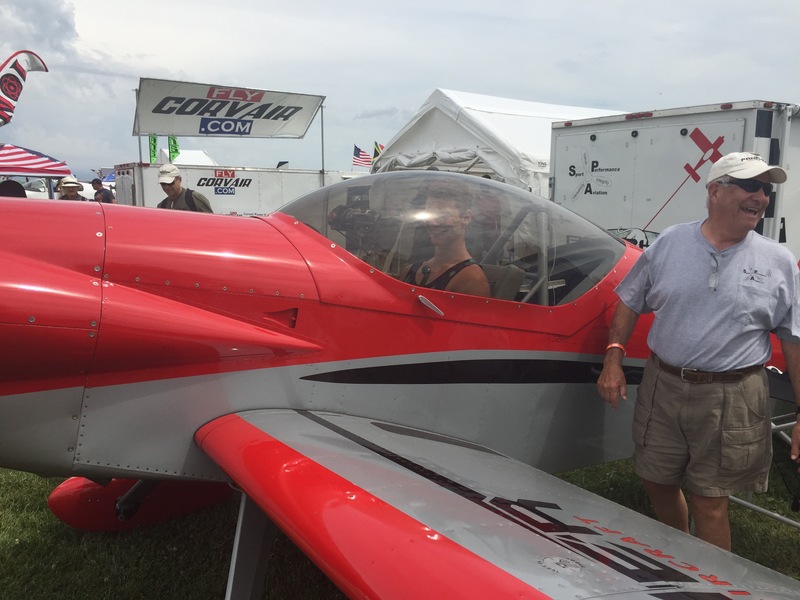 Our newest Panther builder Cody Abner from Texas – trying on the Panther. 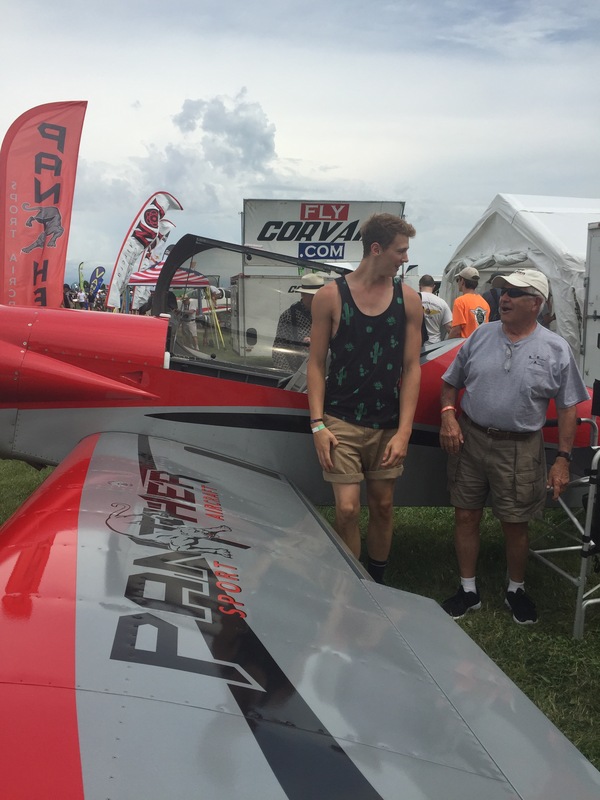 A young man who is 6’6″ tall trying on the Panther. And to end the evening a Dierks Bentley concert!